are you always the same or do you notice any change in you as time goes by? And I am not talking about growing up, or aging, but about the changes in the way we see things and the way other people see us. After all, is it possible to grow without changing? And what type of change are we talking about? I am talking about the caterpillar to butterfly change. Is it possible in any stage in life and any age? Well yes, if we talk about personal development, shining, glow related to being balanced, loving and caring to ourselves and others. I am having my morning coffee and a waitress agreed I need to go to the hairdresser. Is this the reason I might have less dates? Would I want a date who only cares of my hair? How about my gorgeous smile and body? How superficial are we after all? Ok, let’s say that taking care of ourselves is a first sign that we respect ourselves. But shouldn’t this start internally? Appearance of confidence and taking care of oneself are appealing, but the REAL thing is so much more valuable! I see people who only have the appearance, to be willing to give up their money in order to get the feeling of it. But is the internal thing enough to get around if your hair starts looking like a bird’s nest? All this comes from having a partial rejection from a man I had a drink with. Well, meeting people is nice, but doing it from our “home”. When I am in my center, I feel balanced, and my connexions might be. I have heard about visualisation, and to be honest, I might have tried it, but in a not very serious way. I decided to get myself into it, and even find a vision board. To be serious with that. So, I am buying a vision board online and I am putting myself to it. I will try anything I have read or heard of, to see how things go. I also took an online. And the firm decision to wake up at 5.30 in the morning. Like for example, ways to relax and have fun? Date? Something almost forgotten in the long winter nights? Take care of my chi. Stop carrying all this weight around me. What if I just arrived where I am now, without any other thought? What if I saw everything around with fresh eyes? 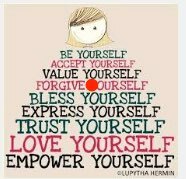 before starting the week, it looks like a good idea to dedicate Sunday to self-acceptance. To say to oneself, hey, You did Great! How about allowing oneself to have fun and be careless and free? How about doing something nice for our body? LIke getting something nice to eat? Spending some time outdoors just looking at people passing by? Buying myself a vision board? Taking care of my hair? How about what is under the hair? Some food good for the brain? Some nice thoughts about oneself? Apparently, if we Collaborate Creat and Contribute, we don’t need to care about self anymore… 😉 Something the link below is developping for children, but adults can also get insprired by it! after being kind of negative on my actual job, a health problem my mother had, made me focus on something else and put things into perspective. I feel grateful for being there for her and for feeling that I can take of my parents. How about starting to take care of me? It is good to try things but not to struggle and to be afraid I am not up to the challenges that the day will bring. How can I address that? Working is great, but it has to be part of joy and magic. Well, no mater what, I need to get in touch with my internal compass. Sit on the top of a hill, metaphorically or literally, and have a broader perspective. 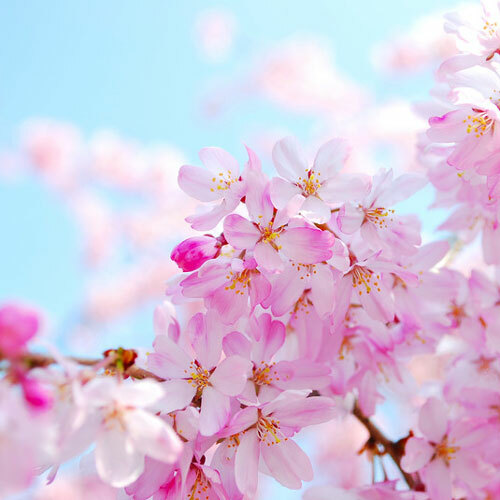 Magic May, Spring is here, how about emerging and blossoming again?